Motivational speaker Tony Robbins had the best of intentions when he encouraged attendees of his "Unleash the Power Within" convention to walk on hot coals. Unfortunately, things didn't go quite as planned, and at least 21 people suffered burns from the experience. But a woman named Kim, who was at the event, contacted Gawker to let us know 21 is a conservative estimate. "In the news it was talking about how twentysome people got hurt, and those are the people who were having the paramedics apply ointment to their feet," she explained. "They were more seriously burned. But definitely over 20 people got hurt. [The event organizers] really minimized it, and it made me uncomfortable." In an interview, Kim said that she didn't participate in the firewalk because she had hurt her ankle earlier. But two of her friends who did take part in it ended up with significant burns. One of Kim's friends "couldn't drive her car. We took her car back to her house. She could barely walk. My friend's mom had to help her get into her house. She was limping. I mean, she shouldn't have been walking at all." Where was Tony Robbins during all of this? Before the firewalk, Kim said he related a story about a wannabe inspirational speaker who had tried to do a Tony Robbins-esque event in Hawaii. At the fraud's firewalk — wouldn't you know it — several people got badly burned. And then Robbins arrived on scene, explained the proper way to do a firewalk, then watched as the Hawaiian conference attendees made it through without harm. But Kim couldn't even find Robbins outside during the San Jose event, perhaps because there were 6,000 people in the area. She believes they used a recording of Robbins' voice to congratulate those who completed the firewalk on a job well done. "I didn't see him at all," she recalled. "He didn't go through the fire first or anything." Firewalking is about mind over matter: you repeat a mantra and walk slowly across the coals, and your feet don't get burned. 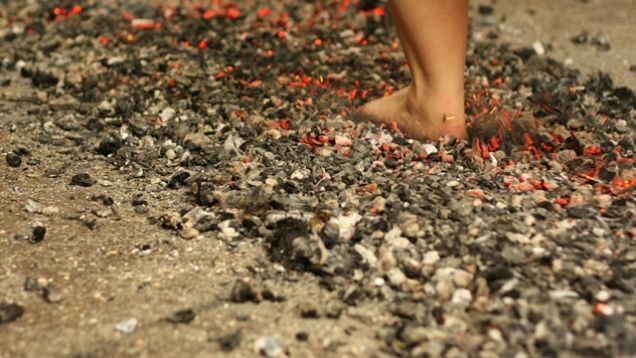 Kim thinks this particular firewalk suffered from poor organization. "But I had the feeling that just — there were so many people and it was rushed a little bit," she said. "You're supposed to walk slowly across, but I definitely saw some people — I don't know if they ran across because they freaked out, if they were burning their feet. I watched one guy go across, and it looked like he was burning because he was flinging his feet around, and I saw coal coming up." What disturbed Kim most was that no one seemed to care about the injuries. Ambulances were called, but she did not hear an apology or any response from Robbins himself. When Kim asked a crew member if it was normal for so many people to get hurt, the crew member responded, "Oh, people got hurt?" "They acted like it was a really minimal thing," she said. "But there were multiple ambulances and a lot of paramedics treating people. There was a fire crew there treating people. They were acting like it was no big deal, but a ton of people got burned." Despite all of this, Kim maintains that Tony Robbins has a lot of great ideas, and that the daytime sessions at the seminar were legitimately helpful. She also pointed out that while she did see many burns, she didn't hear any of the "screams of agony" some news stories alluded to. "His seminars are really good," Kim reflected. "I understand why he inspires a lot of people, but to be completely honest — you know that episode of Oprah where Tom Cruise is jumping on the couch? It's almost like that. 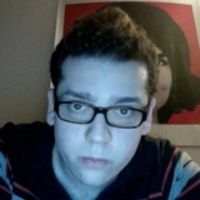 He kind of gives off that vibe."